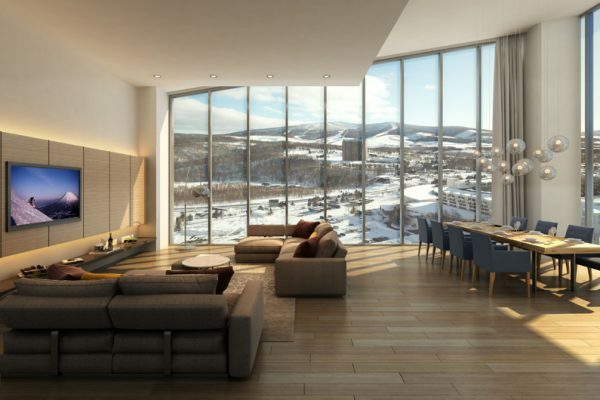 The Vale Niseko’s award-winning team comes to Rusutsu and offers ski-in, ski-out luxury in 2020. 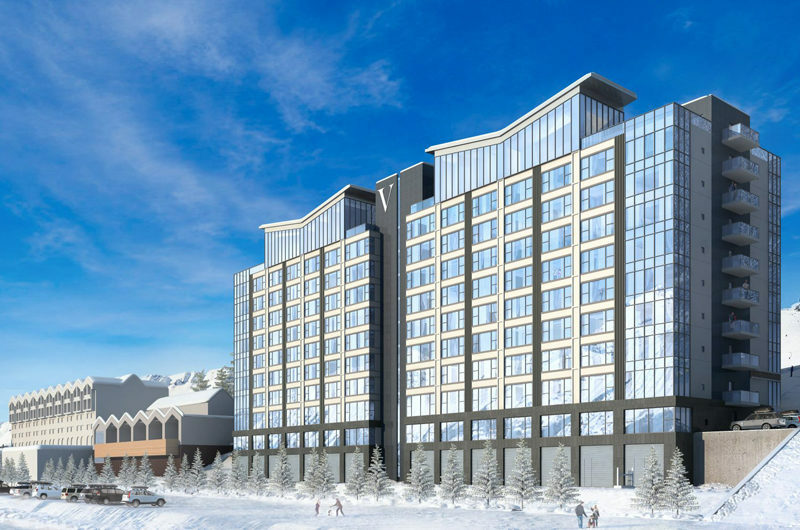 From the award-winning team behind The Maples and The Vale Niseko, comes Rusutsu’s first condominium hotel development. Located right at the bottom of Rusutsu’s West Mountain slopes, this ski-in, ski-out development promises world-class service and facilities in one of Hokkaido’s premier powder destinations. Please note: as this is an upcoming development, details and inclusions are subject to change between now and its opening. The below information is indicative only. Rusutsu has always been one of Hokkaido’s best-kept secrets. A short 30-minute drive from Niseko’s slopes, Rusutsu is known for its expansive terrain, lack of crowds and a huge host of facilities. 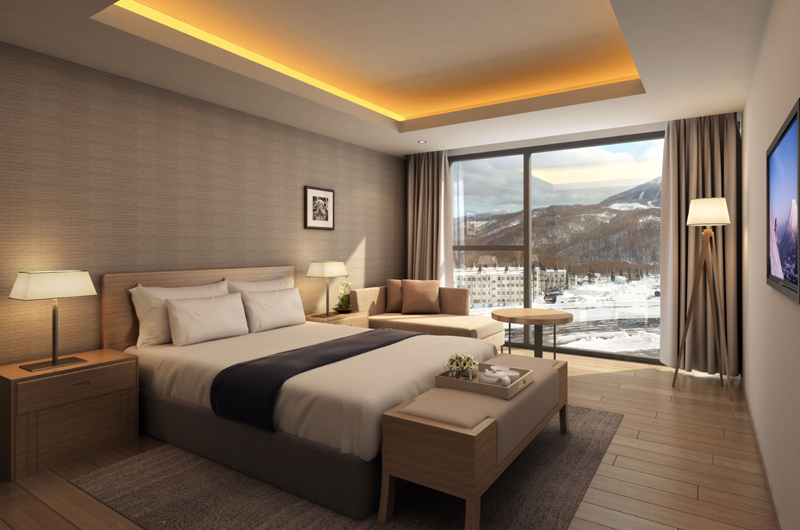 Niseko Alpine Developments (Nisade) is partnering with Rusutsu management to bring a new kind of accommodation to Rusutsu, with a state-of-the-art condominium development right at the base of Rusutsu’s slopes. A total of 91 apartments across 10 floors will offer one, two and three bedroom apartments, as well as dual apartments linking together two one-bedroom units to create a roomier, more feature-packed 2-bedroom options. 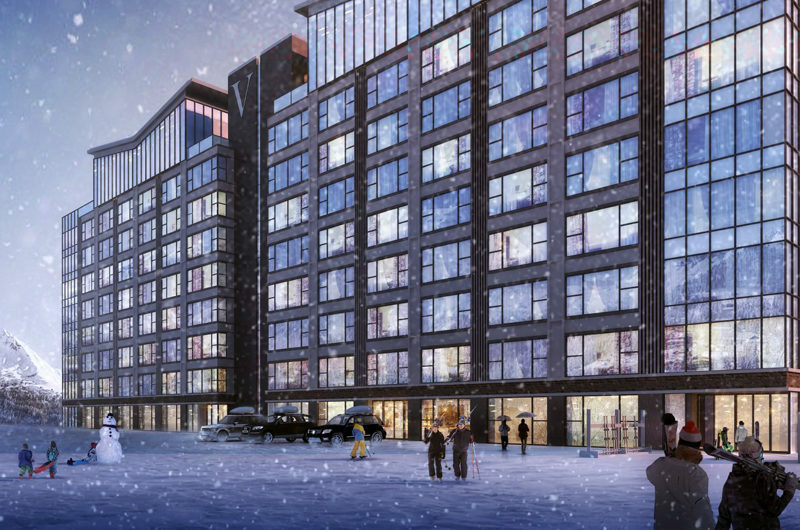 There are plans for a grand lobby space, restaurant, and bar, as well as comprehensive ski storage facilities to create seamless access to the snow outside. A 24-hour front desk and comprehensive concierge services will ensure all guests have looked after. Best of all, it’s not just the Vale being built, but a comprehensive refurbishment of the shopping and dining district on Rusutsu resort premises – bringing high street shopping and dining options right to your doorstep. With golf courses, a theme park and summer activities galore Rusutsu is already a developed year-round destination. Rusutsu is not only less crowded in winter, at a 90-minute drive from New Chitose Airport, it’s also much easier to get in and out of. Located on floors 2-10, there are three different types of one bedroom apartment in the Vale Rusutsu with slightly different layouts. Each features a separate bedroom sleeping two guests in either one King Double or two single beds. there is a lounge suite with flat-screen TV to enjoy. There is a kitchenette and dining table with seating for two and an en-suite bathroom with combined shower and bath. All 1-bedroom apartments face towards the Rusutsu slopes and mountain. The two-bedroom apartments are located towards the top of the building, on the 9th and 10th floors. They are expansive and spacious, with a master bedroom offering an en-suite bathroom with its own shower and bath. There are two bedrooms in total, an expansive lounge suite, a dining table with seating for four, and a separate kitchen with all the facilities needed for an extensive stay. There is a washer/dryer and laundry nook, and an additional bathroom to share with all guests. Some of the two-bedroom units are on the corner of the building and offer additional views. All of these apartments face towards Rusutsu’s ski slopes and mountain. 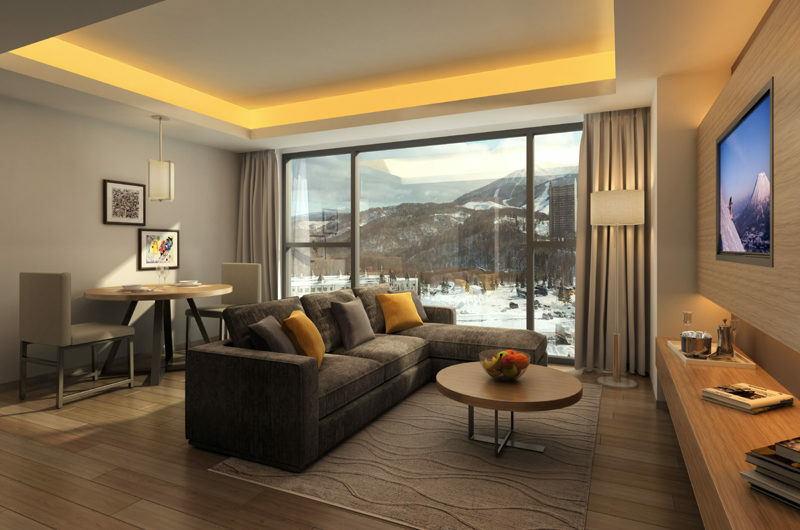 The three-bedroom apartments are located on the 10th floor, with bedrooms and living space carefully arranged to take advantage of the unforgettable views of Rusutsu’s slopes. Each bedroom offers bedding for two, its own TV and closet storage, and some seating and additional furniture. 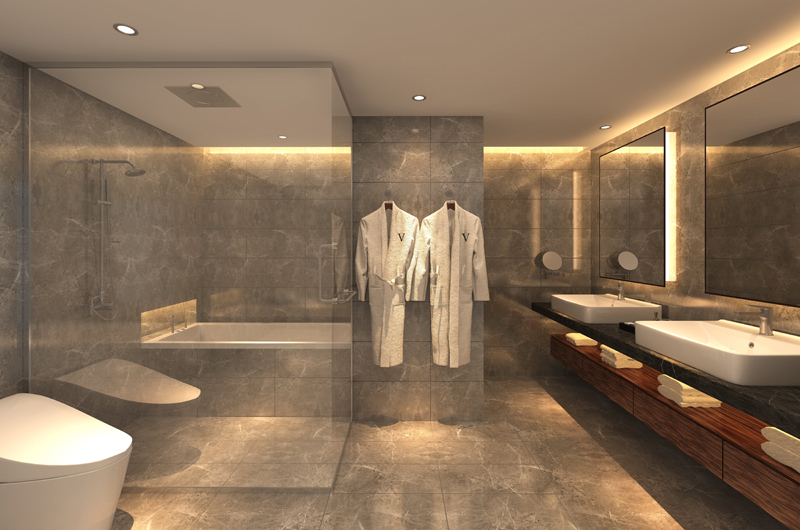 The master bedroom also has its own walk-in wardrobe and en-suite bathroom with a separate shower and bath. The open-plan living space has an expansive lounge suite, a dining table with space for six guests, and a full-featured kitchen and laundry. There are only four of these apartments, taking up the entire top floor of the Vale Rusutsu building. 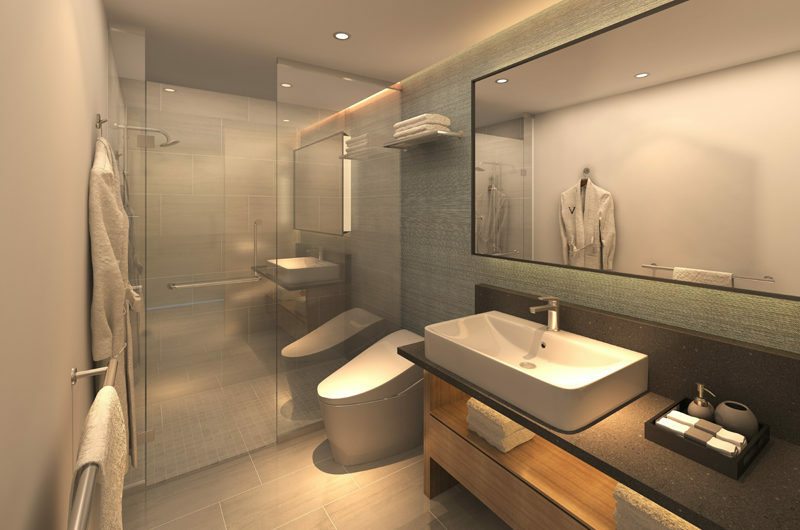 Each penthouse apartment features three spacious bedrooms with their own TV, seating nook, and en-suite bathroom. The master bedroom features its own love seat and an extra large en-suite bathroom with separate bath and shower. An additional closet space runs the length of the hallway that connects the bedrooms, so storage is not a problem. 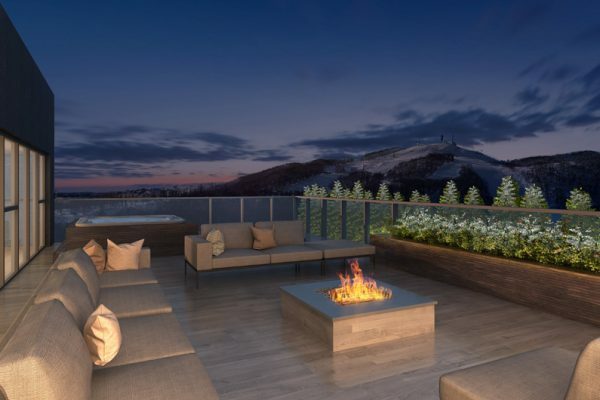 The living space is expansive, with a lounge suite overlooking both a flat-screen TV with state-of-the-art entertainment and a feature fireplace. There is a dining table with seating for eight people, a full-featured kitchen with U-shape counter and breakfast bar, and a separate media room for those that want a bit of privacy from the main group. A helper room with single bed and shower makes up the fourth bedroom. There is an expansive terrace with lounge furniture and a hot tub, and unbeatable views throughout across the Rusutsu valley and slopes. 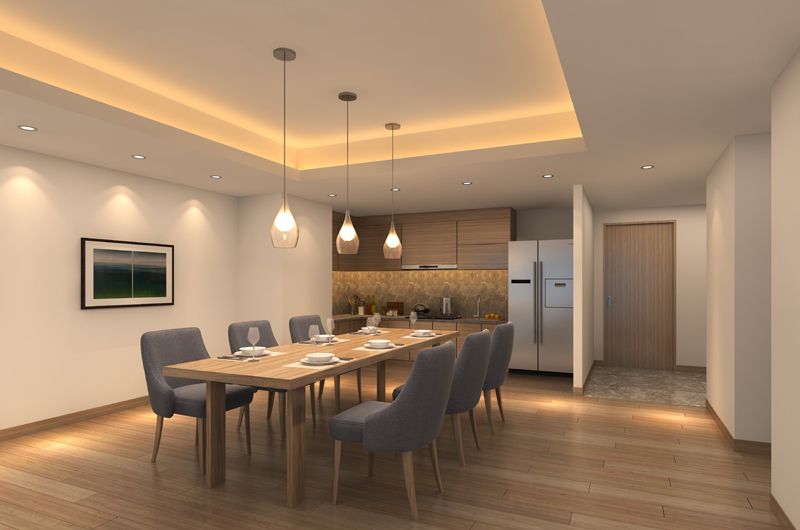 Connecting two 1-bedroom apartments with internal connecting doors, the Dual apartment type allows for a more expansive, independent 2-bedroom apartment. Each apartment offers two bedrooms and two bathrooms, with separate living and dining, kitchenette and laundry facilities. The apartments are located on floors 4-8 of the building, and offer views towards the ski slopes of Rusutsu. The Vale Rusutsu is located near the Rusutsu Resort Hotel, with all of the hotel’s features within easy access. 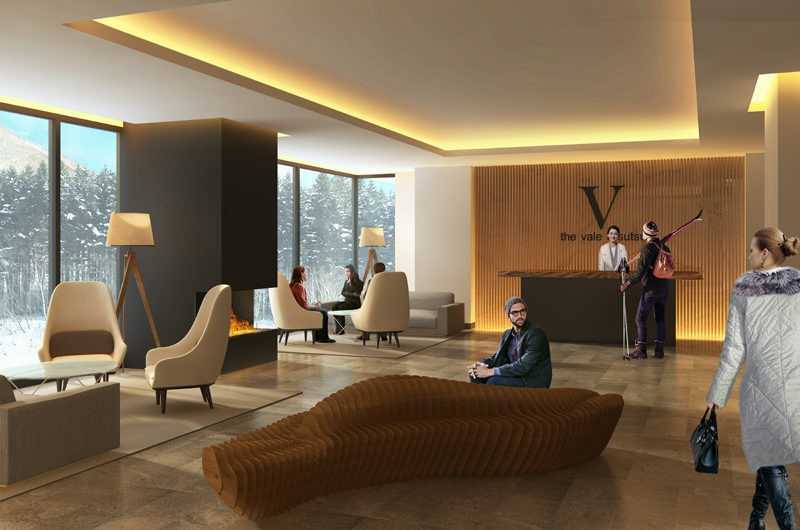 A refurbished dining and shopping area will connect the Vale to the Rusutsu Resort Hotel, with plenty of fun to be had off the slopes as well as on. Rusutsu itself is a short 90-minute bus ride from the airport, a much closer journey than the trip to Niseko. There is a small village a short drive from the Rusutsu resort area, that offers convenience sores and a few dining options with a more local flavour. The Vale Rusutsu will be a very short stroll away from the West Mountain No. 1 Quad Lift, and the base of Rusutsu’s West Mountain lift system. You can ski right back into the building and right out of it. Regular bus services connect the Westin Rusutsu and Rusutsu Resort Hotel. A local bus service connects Rusutsu with Niseko, as do several private charter companies. 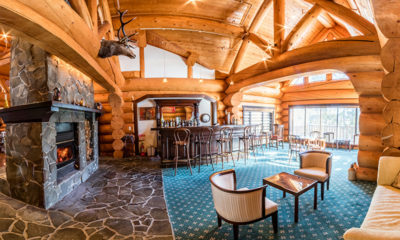 There are a host of options both in the Westin Rusutsu and the Rsuutsu Resort Hotel, and a refurbished shopping and dining area is set to connect the Vale Rusutsu to the rest of the Rusutsu Resort Hotel area’s facilities. If you tire of these options, a short drive into Rusutsu Village gives you a few more options for food and drink in a local village atmosphere. 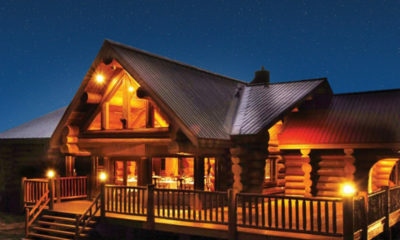 Villa Rusutsu offers secluded log cabin villas near the powder haven of Rusutsu.